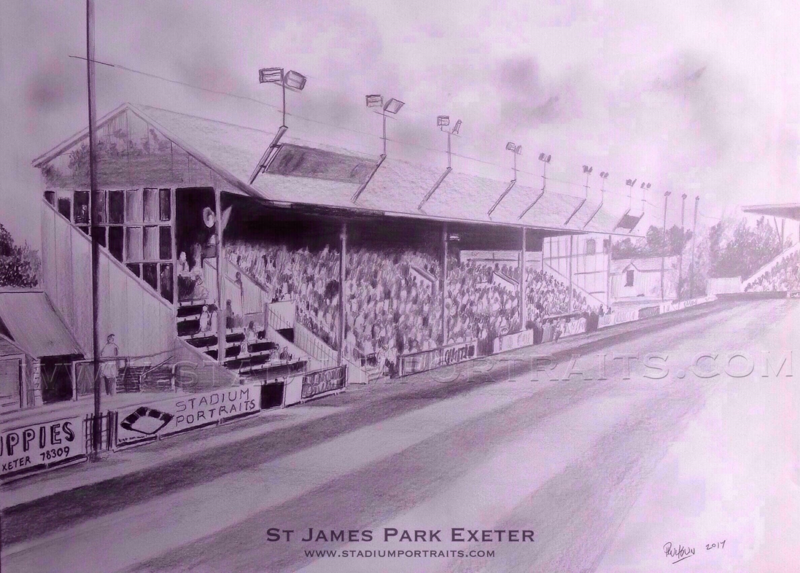 Exeter City - Main Stand drawn in graphite - print on quality box canvas. Sized 20'' x 30''. Price includes UK P&P only - for overseas postage please contact us directly for a price.